After a car accident, it's not unusual for parties involved to disagree on the facts surrounding the crash, including what caused the collision and who is at fault. Many times, each drivers will blame the other. The other driver may have a different perspective or opinion -- or the other driver may simply being lying to avoid fault. This happens all too often after a car accident, regardless of where in Kansas City it may have occurred, including whether it was in Kansas or Missouri. Unfortunately, this situation can simply devolve into "he said, she said" without any clear determination of who is responsible for the crash and the damages that result. However, if there were witnesses to the crash, their statements, observations and opinions can make a huge difference in resolving a dispute about what happened and helping you prove your claim. Witnesses can be extremely helpful in supporting one driver's version of how the accident happened and who is at fault. A car accident witness does not even need to have observed the precise moment of impact. 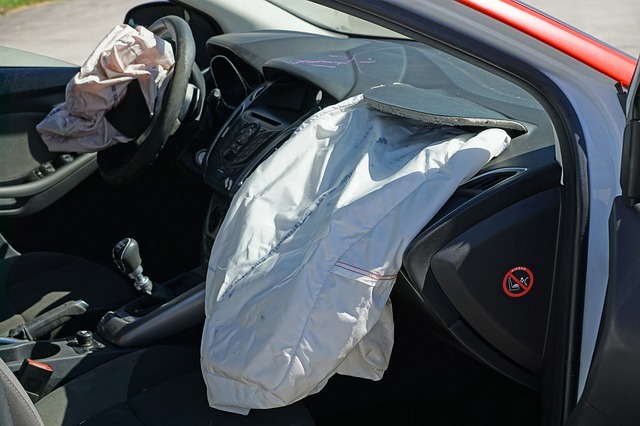 Even if the witness only saw the events leading up to the accident, these details can be critical in persuading the insurance company and ultimately a jury as to what happened. But not all witnesses are equal. A witnesses' credibility is crucial in determining the weight of their testimony. If a witness changes his or her story as time passes, this may call into question his or her credibility and lessen the impact of such statements. In addition, if the witness is questioned and it becomes clear that he or she is merely speculating as to what happened, the potential lack of first-hand knowledge of the event will lessen his or her credibility and the effect of such testimony. In short, any inconsistency, lack of clarity, exaggeration, or flat-out lies will hurt a witnesses' credibility. As a result, it's crucial to ensure your witnesses are prepared to answer only as to what they know to be true from their actual observation and to be very clear and consistent in their answers. If you were injured in an accident, it often is difficult or even impossible to interview the witnesses at the crash scene. You may need to rely on others, such as passengers who are not seriously injured or family members who arrive. Even then, the stress and confusion after a crash can make it difficult to know what questions to ask in the moment. As a result, it is often easier to ask the right questions and get complete responses afterwards. When you are ready to contact them, make sure you set aside enough time to ask all the questions necessary and to get as full a response as possible. You should not wait too long because the memories of witnesses, just like everyone, can fade with time. Obviously, if you've hired an experienced car accident lawyer, he or she will take care of this for you. Where were you located in relation to the accident? How far away were you from the crash (how many feet or yards)? Did you have a clear view of the impact? If not, what did you see? Can you describe the direction of the cars before the accident? What did you observe just before, during or after the collision? Did you see anything that indicates be a violation of the law (speeding, reckless or distracted driving, running a stop sign)? What were the weather/road conditions? What position were the cars in after the crash? Witnesses can simply be invaluable to a car accident case. However, do not forget that there are other kinds of evidence that are also important to prove your car accident claim. For example, you should obtain a copy of the car accident report as soon as possible and take photographs and/or video of the crash scene, your vehicle and any visible injuries. A skilled car accident attorney can assist you with gathering and preserving the documents and information that you will need to prove your claim and recover compensation for your injuries. In addition, an experienced attorney like our Kansas City car accident lawyer will protect your rights and interests, especially when determining and maximizing the compensation that you are entitled to recover. Still have questions about car accident witnesses or how to prove your accident claim? For more information, please download a free copy of my book, Crash Course: 9 Mistakes to Avoid Wrecking Your Injury Claim in Kansas and Missouri. If you would like to speak to a Kansas City car accident lawyer, please call our law firm at (816) 203-0143, or fill out a form below. Contacting us is FREE and confidential, and there is no obligation to hire our law firm. We would be happy to hear any concerns and try to assist you. Fill out the form, and we will be in touch to discuss your accident or injury needs shortly. ?Who's at Fault if My Car Was Rear-Ended in a Kansas City? ?What if the driver that caused the accident has too little or no insurance? ?What should I do immediately after a car accident? Posted on 08/27/2018 Top 10 Ways to Maximize Your Recovery in a Kansas City Car Accident or Personal Injury Case. Posted on 06/25/2018 How Much Is Your Car Accident Claim Worth in Kansas and Missouri?